Your blog is so informative! I used it as a source when I was shopping for my AWL bags. I recently purchased an AWL Equestrian bag on ebay for a very low price and when it arrived I noticed that the leather trim is beginning to crack in some places. Also, a few spots on the actual purse which is black are looking a bit cracked and discolored. Can you recommend any preventative/restorative measures to protect the trim and restore the cracked areas? Thank you! Since you have similar questions, I’ve ganged your notes and photos together. Cassandra, your Air Force Blue bag has wear to the British Tan piping on the bag’s bottom corners. British Tan leather is not All Weather Leather so it does tend to wear more than the main leather of the bag. To refurbish, you need to clean it thoroughly, condition it and then consider if you want to try to add some color back to the worn, faded areas. To clean, choose your favorite leather care products. We use Leather Therapy Wash.
After cleaning to condition, we use Leather Therapy Restorer/Conditioner. We’ve also tried Coach products but find Leather Therapy to be better. Then depending on the exact color of your British Tan, you could consider using shoe polish or shoe cream to dab onto the worn spots. When Dooneys are new, the British Tan is a light pure tan and as it ages, it gains a darker patina – so each bag will be a slightly different shade of Tan. 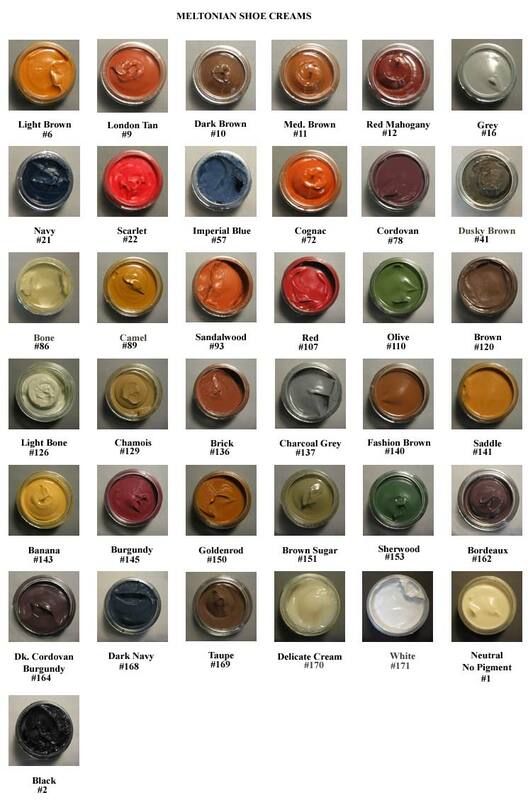 Some of the colors we have used include Kiwi Tan Shoe Polish – the type that comes in a can, not a bottle. It is waxy and solid at room temperature. 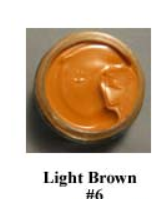 And Meltonian Shoe Cream in Light Brown #6 – upper left. As the name implies, a soft and creamy product. You can test the color on a place where it won’t be noticeable to see if you have chosen the correct color for your bag. We apply polish with Q-tips. Less is more. Add the tiniest bit and rub it in. You can always add more but once you put a lot on, it is hard to take it off. Now to Gwyneth’s bag….your bag has had a lot of use and not much good care, so your job will be more difficult and the end result not as good. You would use the same steps as I outlined above for your British Tan. Use a lot of elbow grease, by that I mean vigorous rubbing to clean and condition before you consider coloring. In the places where the piping has cracked or where it has worn off completely and the cord inside is showing – the only way to fix that is to send the bag back to Dooney & Bourke for them to replace the piping. It would likely not be worth the cost. You can clean and condition the cracked piping aggressively but the cracks will still be there – your rubbing will just make them lay flatter and be less dry. After a thorough cleaning and conditioning, you could consider using a black wax or cream on the places where the color has rubbed off on the main part of the bag. If you are looking for a good Dooney bag, visit our Dooney & Bourke store. And if you are a Bargain Hunter, visit the Grab Bag section where we put the bags that have a little more wear. And remember, we provide free shipping to anywhere in the US. This entry was posted in All Weather Leather, Leather Care and tagged all weather leather, AWL, British Tan, Dooney, Dooney & Bourke by Native American Jewelry Tips. Bookmark the permalink. I have sveral Dooney And Bourke vintage bags, 1980 and 1990. They are in great condition. What should I do with them? They are too heavy for my use and I switched to a small Coach bag years ago!! Paula, on the Meltonian chart, which color would you say is closest to Dooney’s Taupe? Thank you Paula for this very helpful article! 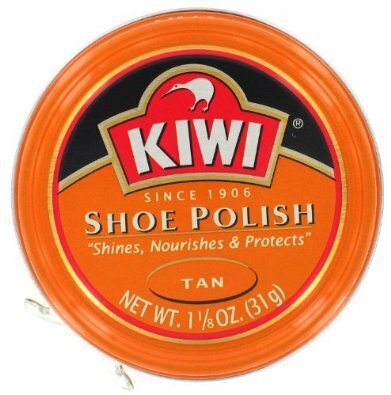 I have always used Kiwi Tin Shoe Polish. But it seemed too waxy. On a hunch I tried Lincoln Stain Wax Mid Tan Shoe Polish on the British Tan Trim and was amazed with the results! So much so that I used it on a Dooney I Picked up for next to nothing. It should have gone into the garbage. It was all one color, British Tan. With a bit of hard work and care I had amazing results. Now I can proudly use the bag. Lincoln has the stain and color needed to restore this once tired old bag. I have only used the British Tan color, bit that’s where most of my bags begin to show wear so I’m very happy. I found it on Amazon, but lots of places sell it on-line. It’s sure worth a try if you want to cover up scratches and wear on tan trim or as I did, the entire bag.